We went to Trece Martires, Cavite yesterday to look for a 6,500 square meters property. My boss is interested to look at a lot for possible conversion to warehouse and farm. He loves animals as a matter of fact, in the industrial compound that we are currently renting now, he has potbelly pigs, goats, chickens and dogs. Appetizers in small portions are offered in most Korean Restaurants for free. The moment, you require extra portions, some would charge for a fee while others still give for free. These foods have to be eaten prior to the serving of our main course. For today, we wanted to try their cold noodles. Yes, cold! Meaning, it is served with ice even! 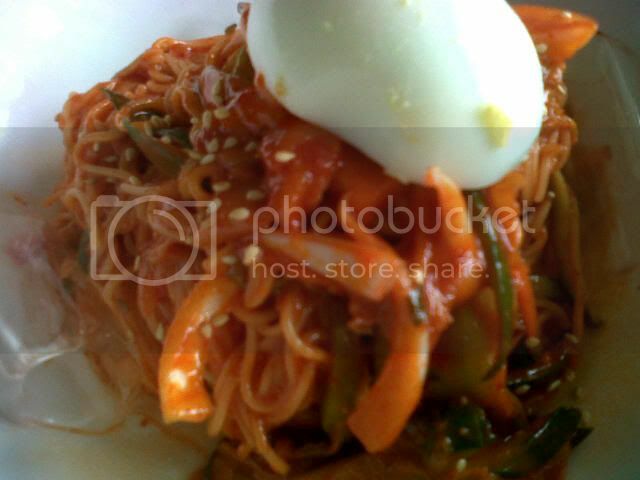 I choose this yummy Bibim Guksu at Php 230.00/serving (USD 5.00). By its appearance - you can say its Spicy! 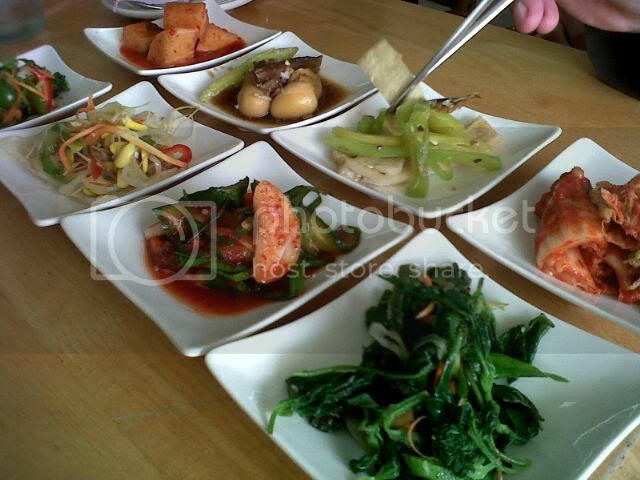 The restaurant is in CEPZA Bacao Diversion Road, General Trias, Cavite, very near King Bee Restaurant. The restaurant mostly served the Koreans from the CEPZA. They also offer free wifi internet and even through network cable.